Sash!, 2 Fabiola, Fragma, Corona, Gala, Robert Miles, Faithless, Milk, Culture Beat, Pet Shop boys, Spanic, Daft Punk, Kate Ryan, Paul Van Dik, C&C Music factory...rings a bell? 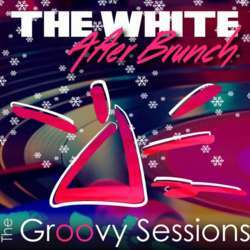 Let's celebrate winter this sunday with a White After Brunch run by DJ Bruns and the loco Groovy Sessions team - at this iconic underground concert hall in the heart of Malasaña. We'll dedicate it to the 90's dancefloor hits we've all danced and sweat, punctuated by contemporaneous electro tracks and drums performance by Nacho, to amplify this after brunch experience. Mild at the start, full power at the end, so you know... This is a dance party, not a tea party! Dress code is snow-white, but we'll add to it some colorful leds and luminescent bracelets, what do you think? (Don't like white? c'mon, join anyway...). Also expect impressive visuals during the session. This is an open event: bring your happiest friends and your good vibes... are we human? or are we dancers?